Dr. Campbell is spot on with her analysis of the problems confronting the delivery of primary care in today’s healthcare system; especially juxtaposed to the “monster” created by the “pill for every ill and drug for every bug” mentality that we’ve helped foster. The Cure: Price deflation brought about by removing the third-party machine, combined with accessibility, service and outcomes data. This must be a physician led revolution to be successful. Success here will lead to a level of transparency that hasn’t existed in healthcare for over 40 years. The result will be that patient-consumers can then compare apples to apples: They can have a physician they know and trust, call/email/text them anytime (not an answering service or on call doc) for advice and have continuity of care. This won’t happen though unless we primary care docs are ready and willing to compete on price, service and quality outcomes in the same way the retail clinics are doing. We can’t regulate or legislate our way out of this. We have to innovate and adapt. The only way to control the delivery paradigm with quality medical practice (instead of just service now) is to fill the niche and give patients the access and care they crave and deserve. The good news is, re-education starts there! 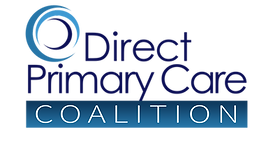 Two Trends Impacting DPC Docs In Next Three Years.